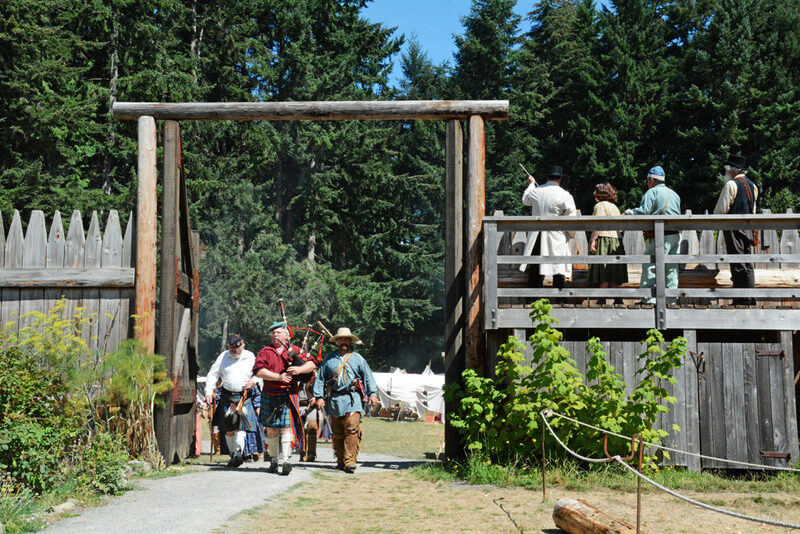 Fort Nisqually Brigade Days 2016 AUG (35) – The Fur Brigade entering Fort Nisqually. 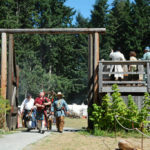 Fur Trade Brigade Encampment at Fort Nisqually, Tacoma, Washington, USA. 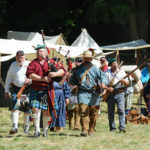 Re-enactors gathered at Fort Nisqually August 13-14 for a two day re-enactment encampment. 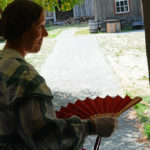 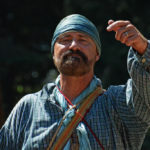 People in replica period costumes camped out in tents, cooked their meals and demonstrated many aspects of the fur trade lifestyle in Oregon in the 1855 period. 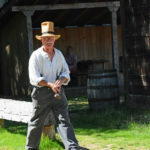 Re-enactors cane from the Western USA and from British Columbia, Canada. 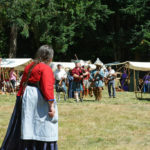 Fort Nisqually Brigade Days 2016 AUG (3) – Outside the Factor’s House. 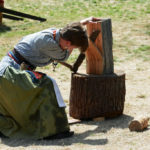 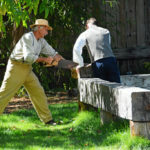 Fort Nisqually Brigade Days 2016 AUG (4) – Sawing wood. 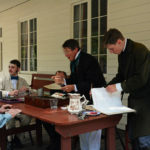 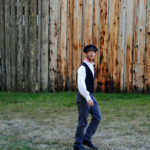 Fort Nisqually Brigade Days 2016 AUG (7) – Sartorial elegance … on the frontier. 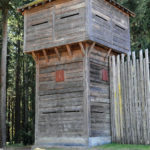 Fort Nisqually Brigade Days 2016 AUG (9) – A bastion of Fort Nisqually. 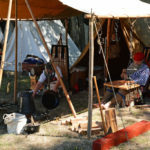 Fort Nisqually Brigade Days 2016 AUG (11) – In camp, at rest. 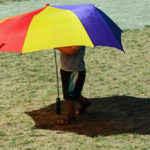 Fort Nisqually Brigade Days 2016 AUG (15) – An umbrella with legs. 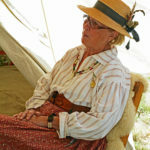 Fort Nisqually Brigade Days 2016 AUG (21) – Sue Morhun relaxing at her tent. 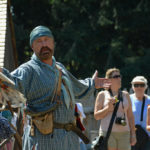 Fort Nisqually Brigade Days 2016 AUG (51) – Fur Brigade leader. 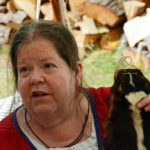 Fort Nisqually Brigade Days 2016 AUG (55) Sue Morhun welcoming a new recruit for the Fur Brigade. 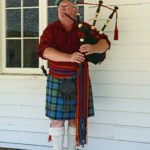 Fort Nisqually Brigade Days 2016 AUG (65) – Colin Barrett, piper. 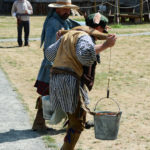 Fort Nisqually Brigade Days 2016 AUG (75) – Carrying water in a race. 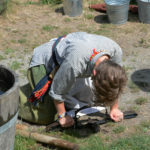 Fort Nisqually Brigade Days 2016 AUG (87) – Setting a beaver trap. 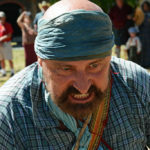 Fort Nisqually Brigade Days 2016 AUG (91) – Another contestant carrying water in the race. 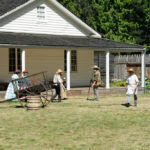 Fort Nisqually Brigade Days 2016 AUG (99) – Splitting shakes during the race. 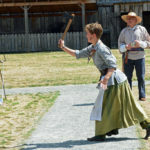 Fort Nisqually Brigade Days 2016 AUG (101) – Throwing the tomahawk during the race. 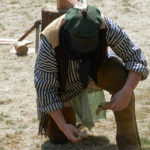 Fort Nisqually Brigade Days 2016 AUG (104) – Putting the supplies into the Large Store. 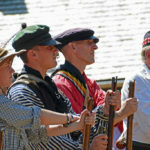 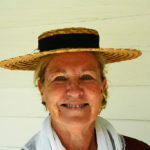 Fort Nisqually Brigade Days 2016 AUG (107) – Sue Morhun. 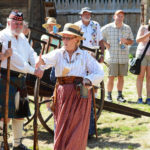 Fort Nisqually Brigade Days 2016 AUG (112) – Contract signing time.